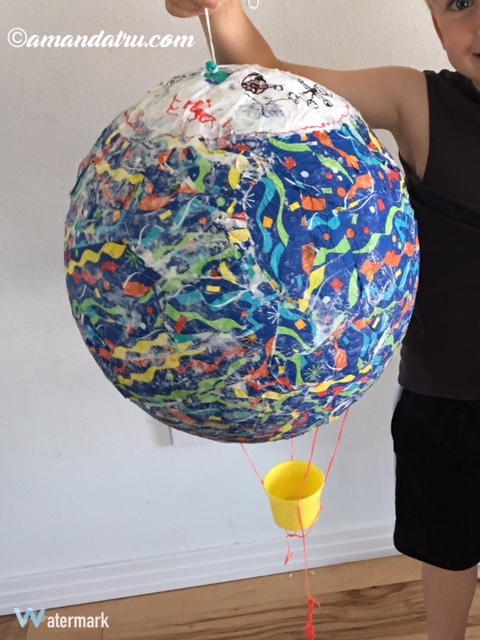 Task: Make an art project about a book with your 6-year-old son for the library summer reading program. Well, he says he wants to do it on a Curious George book. You can work with that. 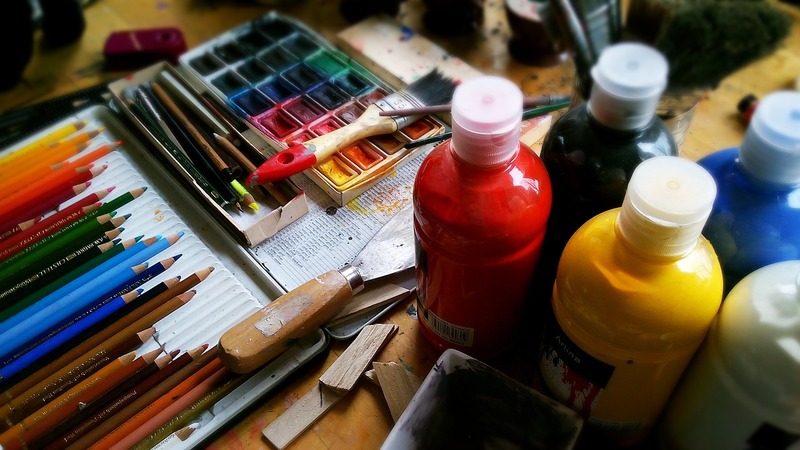 Hmm… maybe something artsy from your childhood. Something fun that you remember doing with your mom. That’s it! A decoupage project! 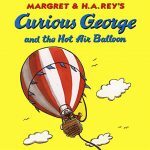 You can make a model of a hot air balloon like in Curious George and the Hot Air Balloon! After all, you did a really cool one as a kid. Which means you’re pretty much an expert. And you can save time. You already know how to do it. It isn’t like you’ll need to waste time googling it. After all, it was only, what? 30 years ago. Piece of cake. Do the project completely wrong. 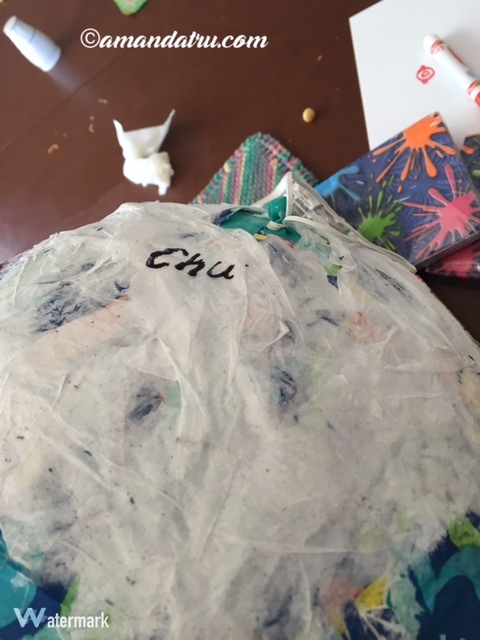 Note to self: decoupage is not the same things as paper mache. Somehow these two techniques need to become tangled in your brain so that you remember the difference only after you have a mess of napkins and flour water. Yes, for those of you who don’t know decoupage (using a mixture of glue and water) makes things nice and shiny, while paper mache (using a mixture of flour and water) makes things, well, yucky. You really don’t need to buy more supplies. Save money. Just use what you have on hand. You know those birthday napkins that you never used from two years ago? Use those. No, it doesn’t matter that no store even carries that same design any more. Don’t worry about it. You’ll have enough. And if, on the off-chance you don’t, you can send your wonderful husband to the store at 7:00 in the morning before he goes to work, to find some that, well, don’t match and are still unusable anyway. Try to fix the mess when you remember how to actually do decoupage. Go over everything with the decoupage glue wash, so that now you have a shiny mess. Forget those nifty napkins your husband bought and just cover the holes with standard white napkins instead. After all, then you can decorate the white part with marker afterward. No, it won’t look like toilet paper. Promise. No, it won’t look like dirty toilet paper when the color underneath comes through. Double promise. Maybe if you name the monster, it won’t be so scary. Everything is dried. All the pieces are attached. 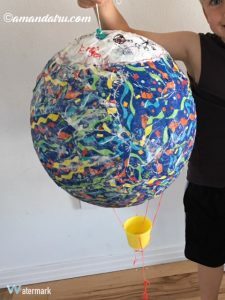 It doesn’t look great, but it sort of looks like a hot air balloon, and after the hours you and your son have already put into the thing, you’re calling it. Last step is to label it with the title of the book. You have to do this part. As fantastically smart as your 6-year-old is, you can not trust him to do this right. It needs to be legible. It needs to be spelled correctly. Why doesn’t that look right? What’s wrong with it? Of course you spell Curious, C-H-U—cue hysterical laughter. Then hurriedly draw a hot air balloon over your mistake and get the 6-year-old to come “fix” the rest of it. If anybody asks, he can honestly say that, yes, that part the looks like it was drawn by a 6-year-old was in fact his very own work. Because you’re an awesome mom like that. You let the kids do their own work. Even if it looks bad. Pride of ownership. Make your own mistakes. Clichés all packed and ready. Turn that monster in! And there you have it, the full free tutorial on how to screw up a really great art project. In our next installment, I will be writing about how to screw up licking an envelope. Challenging, I know, but this super-mommy has done it, and will show you how to do it too. That’s hilarious. I would probably be angry. Lol. I tried to make ‘moon sand’ the other week and it was a total disaster and got all over the place, a giant gooey mess. I felt bad, but my daughter was like, ‘eh,” At least she wasn’t upset. But we do love to do art together. I need more art supplies.